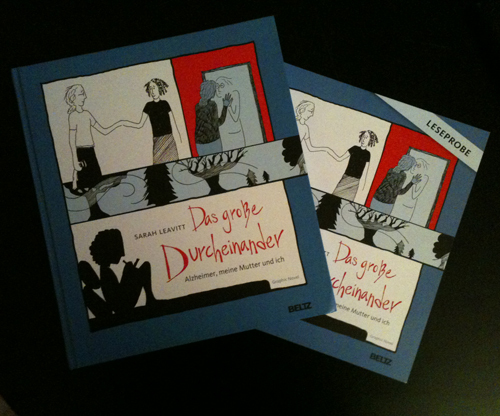 It was interesting to work on the German translation of Tangles. I had to let go of some of my control issues and trust the translator, since I don’t read German. Most of Tangles is lettered with a font I created from my handwriting — which, incidentally, I don’t think I would do again. Hand lettering from now on! Anyway, I redid the font to include German characters, and relettered some of the handwritten parts, but the designer actually redid some of the handwriting herself or replaced it with a different font, which was a bit painful for me but I realized it was a necessary letting go. Or it felt like it to me, anyway. The Beltz team was really careful and respectful and the book looks awesome. One slightly odd thing — they included a glossary at the end, for terms like “reiki,” “chorizo” and “mezcal.” Do Germans not know these words? And, a little bit disturbing, they included the word “Chanukah” in the glossary. If anyone has insights into this, I’d love to hear them.